This document is one I have admired for many years. 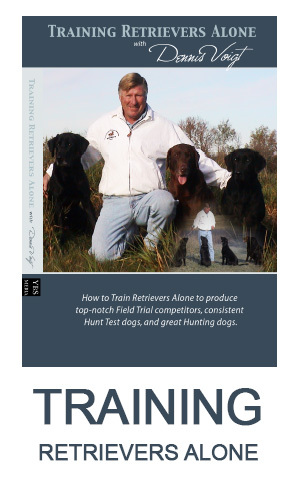 It was originally written by Judy when she was contributing to the Retriever Judges Manual (The Blue Book!). I thought it was complimentary to the Judging Fundamentals and Checklist found in this issue. I have known Judy for over 25 years and we have spent many hours together training and talking judging. Since we have evolved such a similar mind-set on many training and judging issues, I have taken the liberty to add various headers, comments and explanations to her original work which expand on her concise outline. My comments are in italics. · Ask yourself, “What are you looking for as a judge?” – try to find the winner, not the losers – try to test for winning qualities; don’t test to lose dogs. · What have you seen and liked? · What have you seen and not liked? 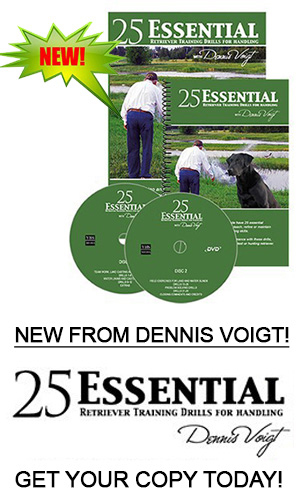 · Set up tests that reward the qualities (as described in the Rule Book) that you like in dogs. Test for these good dog traits. · This philosophy can change the whole way that you approach test design and evaluation. Many judges are preoccupied with how to get rid of dogs rather than how they can find the best dogs today – the dogs that turn in a pleasing performance and show their natural and trained abilities to be the best. · Know the rules (and bring the rule book with you). · It helps to read the Rule Book before every assignment. Other material to review is the Blue Book. Take a copy of the checklist found in this issue. · What not to bring. Experience will pare down your list. · Confirm meeting place and time (and transportation to trial and motel). Confirm details with club months in advance. Be sure travel plans allow adequate time before and after assignment. Touch base with co-judge re meeting time and place. · Designing your tests. Allow at least the afternoon the day before. Be prepared with weather forecast, compass, radios, flagging and the checklist. · Always try to arrange setup with your co-judge present. · Discuss club’s resources with Field Trial Chair. Ideal to have marshal with you for information on grounds, recent tests in area, logistics, cutting, flagging bird locations, brushing holding blinds. · Inspect the grounds. Set up dogs valuable for water and visibility checks? Walk the whole area for safety. Plus, this helps give you better dogs’ perspective and a preview for options if a last minute change required. · Look at water first – helps you know about your final tests. · Discuss judging parameters of the first test: fall area, creeping, noise, manners, style, etc. If it is a blind, discuss mandatory hazards in the corridor to the blind. · Calculate rotation if stake is a major. · Give stake requirements to the marshal. Set time you will be there and when set up crew and gunners needed. · Discuss and determine test contingencies for weather change, scrapped tests, loss of grounds, etc. · Visibility of dog to judges – can you see hunt? Double check all the Fundamentals – see checklist! · Set up holding blinds in field with brush. Do as much as possible the day before to ensure a prompt start. · Check weather (wind forecasts!) ... recheck in a.m. (Always have rain gear and waterproof paper!) These days a smart phone is a great asset. Use it to learn latest weather, sunrise/sunset and use apps that show sun position all day. · Reread Rule Book. Have a good night’s sleep – don’t harbour self doubt or fret about your tests. · Meet on the grounds prior to personnel – tweak the test based on lighting, wind. · Decide on efficiency in setting up the test. Who does what. * Check holding blinds in field for gunner visibility to dogs. Don’t leave it up to co-judge. Best if one judge goes out with gunners and helps with locations and throws. Other judge stays online and watches. · Coordinate with marshal. Discuss rebirding, changing gunners/ throwers, gallery placement, releasing dogs to other stakes, drinks and lunches to stations, all stake mechanics. · Test dog. What is this for? Rarely is it to determine if your test will work as you planned. But it does help you and handlers observe visibility of birds and dogs and wind and scenting. Helps mechanics. Do a dry run before test dog! Note time for test. Do not scent the falls until after the test dog runs and the test is set. · birds and guns visible to dog, now and throughout the series. · judges satisfied with bird placement and throws. · judges can see the dog work. · guns can see the judge’s signal. · order of throw confirmed. · routines: Who signals and releases dog? How to signal (shadows, noise, visibility to guns, rotation speed)? Who receives birds (marks, blinds)? Who releases the honour? When? · “No bird”? And then what? Timing of rerun? · number of birds at each station. · Check time schedule after the first 5 dogs run and then after 10 dogs. · If a dog or handler does something unusual that might determine whether called back, discuss with co-judge before next dog runs, so that event is fresh in both minds. · Use snippets of time to talk with co-judge about the dog work instead of chatting with the marshal, your friends, the handlers. This will help you both to set your standards and help to eliminate disagreements at the end. · Reruns – who gets them? how scored? and when? · Allow marshal latitude to send handlers to other stakes so long as you have dogs. · Be courteous to the handlers and the workers. · Relax and have fun. · What do you put in the book? More is better! Your drawings and notes should allow you to recall the performance of that dog. As long as it doesn’t interfere with your observing and your time management, you cannot write too much. Most develop a shorthand notation to save time. · Gun and bird positions (dot for ideal flyer position – x for actual fall). · Natural features as reference points. · Where dog goes and where hunts in real time. Don’t draw after the dog has done the test. Add further notations before next dog runs. Work hard at watching the dog and recording at the same time. On a long hunt you cannot recall it all! · Note: style (or lack of), manners, delivery, noise, attitude, no goes, resends, pleasing picture with handler or not, handler intimidation, interference, unfair circumstances. More notes are better than too little. · If marking test: if dog is handled, note where the handle starts and continue handle notes to the bird. This could be important in call backs or in placements. · If handling test: Note all whistles, sliding sits, whistle refusals, auto casts. Do not need to note cast refusals as these will be evident in the picture. The Tally sheets: 2 different kinds: one for callbacks and one for last series. · callback tally sheet: hastens call backs – won’t lose time between series, clarifies your thinking after each dog runs. This shows dog number and each series. Mark each dog as Yes, No and Maybe (to discuss with co-judge). Record times of series start, PU’s and Handles. Helps calculations for time management and callbacks. Block out dropped dogs after callbacks. · last series tally sheet: helps to establish ranking of dogs and placements tend to be quicker. I haven’t used this but instead rely on my tally sheet and notes in margin of it. · Towards end of current series, discuss next series. · changes based on: grounds availability, # of anticipated dogs back (time management), need a different test, impending weather or sunset, etc. · Prior to end of present series, tell marshal where going, what equipment and personnel needed. · Any special needs should be requested as early as possible. · Talk with co-judge about next series. · Go through your book and clarify your tally sheet. · Check time schedule: are you in the ball park or are you way behind? · If near end of series, start callbacks with co-judge. · Don’t waste time. You may need it later. · Give marshal instructions on what to pick up and where you are moving to and what can be done to get next series ready. · Give marshal rough count on number of dogs back (this comes from your tally sheet). · Callbacks ... GO THROUGH EACH DOG! (Don’t dwell on good work; you aren’t placing the dogs, yet). · Each dog goes into Yes, ‘?’, or No column. After you and co-judge have done this (and you will be ready because of your tally sheet) go back and discuss the ‘?’ dogs. I record the Yes, No and ? on the diagram sheet and the tally sheet. This helps during call backs as I can flip a page and instantly see my at the time decision. The process could be one judging flipping pages and saying: 1. OK; 2. OK; 3. No. · Pull sheet of each dropped dog (but don’t throw them away). · After deciding who is back, Judge A reads from his book and Judge B writes down the numbers on callback sheet. · Then Judge B reads his book back to Judge A who is checking the list. This insures that both judges’ books have the correct numbers. · Give the callbacks to the marshal and proceed to the next series. · Note start and completion times. Are you within your original schedule? · Keep sheets of dropped dogs. If anyone has a question about a dropped dog, be prompt in your explanation. Go through marshal unless it would be clearer to tell handler directly. · Before each series starts, run through test mechanics and judging parameters with co-judge. Double check test after test dog runs. Give OK and any handler instructions to the marshal. Written instructions in holding blinds. · Before each series make up a new tally sheet for that series, eliminating dropped numbers. · After determining that you and co-judge have a winner, let marshal know that the stake is over. · Placements (thanks to your tally sheet you are ready to discuss this immediately with co-judge. I like to take a few minutes and determine my placings and greens and no ribbon dogs by myself. Then discuss with co-judge. · Placements should be dog by dog and bird by bird. Even if you are in agreement on the winner, etc., go through each dog and each bird to double check yourselves. · Don’t rely on numbers or letters to be your final evaluation. Things can get lost in translation. This is why you want detailed and accurate drawings and notes. Memories are faulty. · Thank the workers, again. · Placements to the marshal. · Sign the secretary’s book after checking accuracy of placements in the secretary’s book. · Expenses to the appropriate person. · Get out of Dodge!! Sometimes you end up at a tailgate or other social gathering. Beware the handler who confronts you. Decisions were by both judges and agreed upon. I don’t hesitate to congratulate good work. I also don’t mind discussing what we saw or what was good or not about tests. Best not talk about others’ dogs.